On Wednesday November 14, from 1.30pm–4pm, the team at Care UK’s Cavell Court on Dragonfly Lane is welcoming people to its first ‘Communication for Carers’ event, designed to help local family carers to get to know each other and share ideas and experiences. 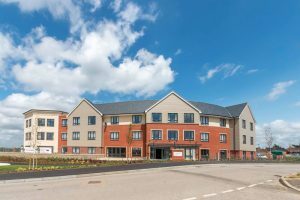 After the event there will be a Q&A session with Gina and the opportunity to meet the friendly team at Cavell Court, as well as take a closer look at the care home. 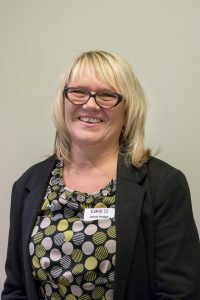 Cavell Court home manager, Jennie Rodger, said: “Here at Cavell Court, we strongly believe that being informed and sharing experiences can make a real difference to those caring for a loved one, and it can often be a great comfort to hear that others understand your situation. For further information on Cavell Court, or to book your free place, please call customer relations manager, Samantha Woods on 01603 856 835, or email samantha.woods@careuk.com. This entry was posted in Eaton & Cringleford, Home Page and tagged Age UK Norfolk, Care UK, Cavell Court, Cringleford on November 9, 2018 by Gay Webster. 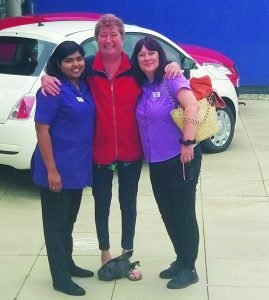 Nicole De Greef, a 54-year-old resident at Cavell Court care home, on Cringleford’s Dragonfly Lane, has impressed fellow residents and staff with her unwavering resilience in the face of serious illness. “Nikki” was diagnosed with cancer in May 2017 and has vowed to stay strong and live her life to the full – declining medical treatment for the disease. She moved to the Care UK home earlier this year and is an active member of its community. Nikki has always lived an active lifestyle and particularly loves swimming. 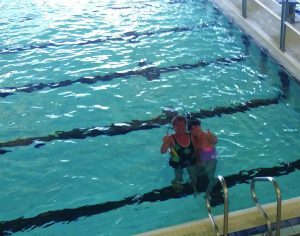 The Care UK team arranged for her to visit the UEA Sportspark pool for a morning, in the hope it would give her enjoyment and ease some of the pains she lives with as a result of the cancer. 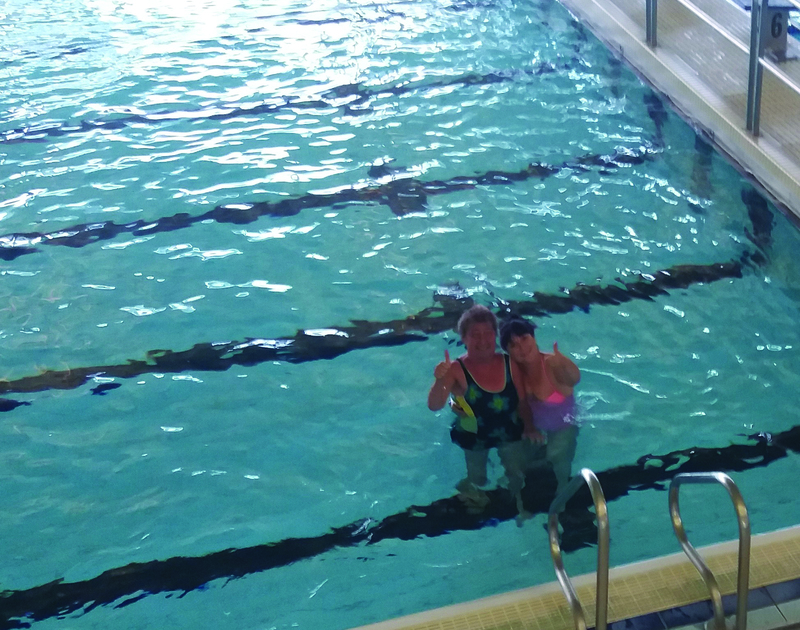 Nikki said: “I’ve missed swimming so much and the feeling of freedom it provides. There is something about being in the water that makes me feel so calm and relaxed – it really is my happy place. “I knew it wasn’t going to be easy battling cancer without treatment, but I want to enjoy my life while I’m still able to, so I really can’t thank the care team enough for helping me to do this. When I came to Cavell Court earlier this year I was blown away by the kindness and compassion of the whole team, and how they are all genuinely dedicated to ensuring people are treated as individuals and are able to enjoy a good quality of life. This entry was posted in Eaton & Cringleford, Home Page and tagged Care UK, Cavell Court, Cringleford, UEA on September 21, 2018 by Gay Webster. A Cringleford care home is asking local residents to join them for coffee, cake and a chat to raise funds for Macmillan Cancer Support. 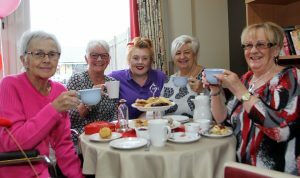 From 10am-4pm, on Friday September 28, Care UK’s Cavell Court on Dragonfly Lane is taking part in the Macmillan World’s Biggest Coffee Morning and hopes local people will join them in supporting the millions of people facing cancer in the UK. Residents and visitors will be able to enjoy a relaxing day sharing a cuppa with friends, along with a tempting selection of homemade cakes and treats – all of which will be available for a small donation to Macmillan. Home manager Jennie Rodger explained why Cavell Court is taking part in the Macmillan coffee morning: “We understand how cancer impacts the lives of not only the people battling the illness themselves, but also the lives of all those around them – a sad reality which many of us know far too well. This entry was posted in Eaton & Cringleford, Home Page and tagged Care UK, Cavell Court, Cringleford, Macmillan Cancer Support, Macmillan World Biggest Coffee Morning on September 21, 2018 by Gay Webster. 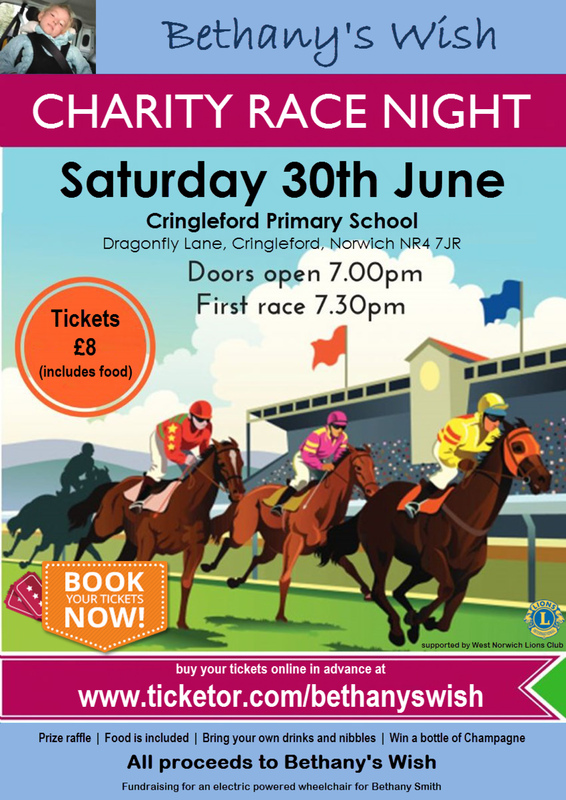 A care home in Cringleford is inviting the community to its free event aimed at keeping older people safe – particularly those who live alone. 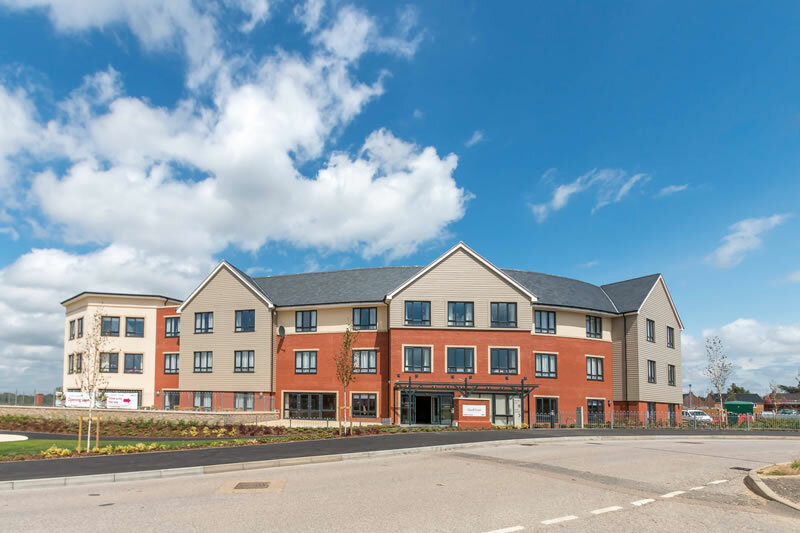 On Wednesday September 12, from 1.30pm-4pm, the Care UK team at Cavell Court (pictured) on Dragonfly Lane will welcome visitors to the home’s first Safety in Older Age event. Norfolk police and trading standards will be on hand to share information and helpful tips on scam awareness, cold calling, and protection against fraud. There will also be advice on offer about a range of alarms and equipment to help older people to maintain their independence in their own homes. The care team is also welcoming representatives from Age UK Norwich and South Norfolk Council’s Help Hub to the home. They will provide expert advice and guidance on staying safe at home, as well as sharing information on support available in the community. There will be information to take home, and the opportunity to meet the team at Cavell Court, as well as take a closer look at the care home. Jennie Rodger, home manager at Cavell Court, said: “Here at Cavell Court we strongly believe professional knowledge, insight and shared experiences can make a real difference to the everyday lives of older people and the loved ones who may be caring for them. “Our free advice events always prove to be popular occasions for the local community, and while this is the first time we’ve held an event on this subject, we feel that it is very topical and relevant in today’s society. This entry was posted in Eaton & Cringleford, Home Page and tagged Age UK Norwich, Care UK, Cavell Court care home, Cringleford, South Norfolk Council on August 31, 2018 by Gay Webster. Eaton slip road, leading from Newmarket Road into the village, closed on July 25 as the next phase of Transport for Norwich’s (TfN) work in the village got under way. A TfN spokesman said transport improvements and essential maintenance started at the beginning of the month, with the latest phase seeing the widening of the cycle path from the Cellar House pub to Newmarket Road, allowing for two-way cycling. Other changes taking place included simplified crossings for pedestrians as well as work to the crossroads at the centre of the village to upgrade the traffic signals, improve the junction’s efficiency and carry out resurfacing. Councillor John Fisher, Norfolk County Council’s chair of Norwich highways agency committee, said: “This project is designed to improve traffic flow for all road users, marking a positive and lasting change for transport facilities in the area. The closure is due to be in place until the end of August but TfN said every effort would be made to open the road as soon as possible. First and Konectbus services are affected and details of the temporary changes and relocated bus stops are available on notices in the area and at www.norfolk.gov.uk/eatoncringleford, where you can also find general traffic management and project information. Phase one of the project in Cringleford, which was built last summer, saw traffic signals installed either side of Cringleford Road bridge to help manage queuing and improve traffic flow. 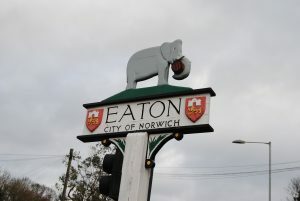 This entry was posted in Eaton & Cringleford, Home Page and tagged Cringleford, Eaton, Eaton slip road, Norfolk County Council, Transport for Norwich on July 27, 2018 by Gay Webster. 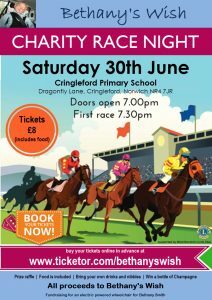 Just Eaton and Cringleford magazine is proud to be a sponsor of this event. This entry was posted in Eaton & Cringleford, Home Page and tagged Bethany Smith, Bethany's Wish, Cringleford on June 12, 2018 by Gay Webster. Cavell Court care home in Cringleford is inviting the public in to meet its new manager. On Wednesday June 13, from 2pm-4pm, the care home on Dragonfly Lane will throw open its door to the community and invite them to meet Jennie Rodger (pictured) and take a closer look at the care home and its facilities. Jennie took over at Cavell Court earlier this year, having worked at Care UK since 2012. She has been involved in the care sector for almost two decades, which has included working at several Care UK homes in Suffolk, two as a home manager. Jennie said: “I am delighted to welcome the local community into the home for this event and am looking forward to meeting our neighbours. I’ve been in the Care UK family for six years now and strive for the best results from my team to ensure we are creating the best environment for residents and their loved ones. Cavell Court provides full-time residential, nursing and dementia care, as well as short-term respite care. To find out more about at Cavell Court, or to book your free place, please call customer relations manager, Samantha Woods on 01603 856 835, or email samantha.woods@careuk.com. This entry was posted in Hellesdon, Home Page and tagged Care UK, Cavell Court, Cringleford, Jennie Rodger on June 6, 2018 by Gay Webster.